Be a Part of the Story! Without the contributions of people like you, Alatheia would not be possible. THANK YOU for your interest in supporting Alatheia and all of our riders! There are many ways to support our efforts including monetary donations, becoming a member, event sponsorships, in-kind/item donations to our Gala Auction, attending our fundraising events and signing up for philanthropic programs such as Amazon Smiles and GivApp. See helpful suggestions below. Our generous supporters help us to continue our mission in “Changing Lives with the Healing Power of Horses”. 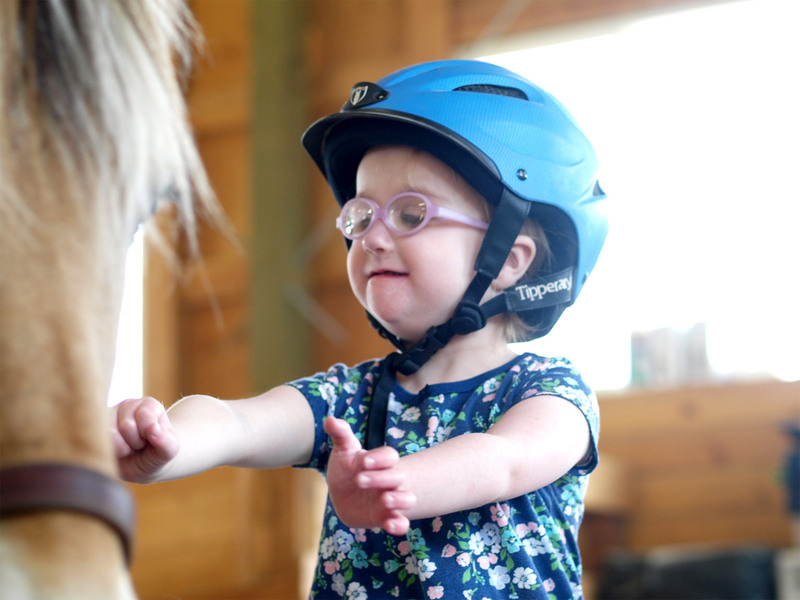 In 2018 alone, we provided therapeutic riding to over 90 children and adults with special needs each week and more than 2,700 total rides. Your monetary donation is the best way to help our riders! Become an individual, or monthly donor in the online donation section below (for credit/debit card), or send your check to 2170 Sleepy Hollow Hts, Wenatchee, WA 98801. Little Black Dress Fundraiser Summer Party Get your tickets to attend this fabulous ladies-only fundraising summer party, or become a sponsor! “Run for the Roses” Benefit Gala Auction Be a sponsor, attend the gala, or donate items to our fun live and silent auctions. Amazon Smiles -Sign up for AmazonSmiles, choose Alatheia Riding Center as your non-profit preference, and the AmazonSmiles Foundation with will donate 0.5% of the purchase price of eligible products to us! GivApp -Utilize the GiveApp program and Givapp will add up your spare change each month and will give to Alatheia Riding Center. Simply download the app from Google Play or AppStore and choose Alatheia Riding Center. Just type your desired amount above, choose whether to make it recurring, and click "Donate Now".